Grind cardamom, cinnamon, cloves and ginger in the mixie. Lovely pictures. Never had masala coffee. Guess the filter kapi is a treat by itself, so have never tried anything with it. Is this what the Bru coffee from South India is famous for? hmmmmmmmm wonderful masala cofee and a must try. 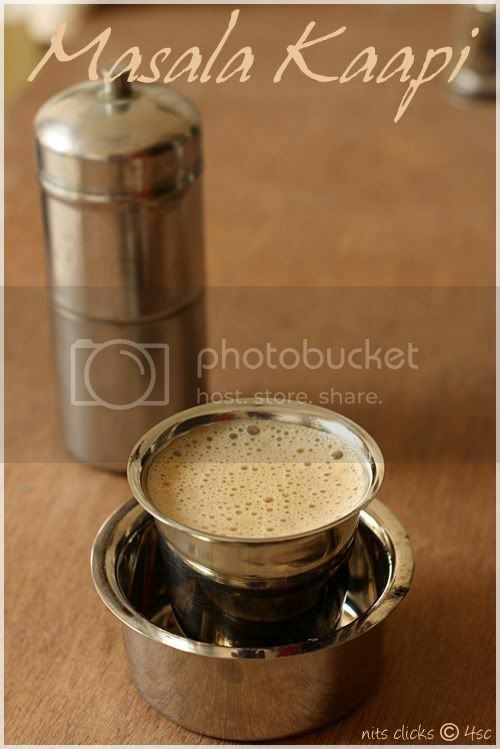 love masala chai, but never tried masala kaapi. I love plain filter coffee though! Masala kaapi looks delectably refreshing... the first pic is awesome..
Never tasted this version.Luv to try it soon.Thanks for sharing. Nice refresh for the cold weather .Love it. 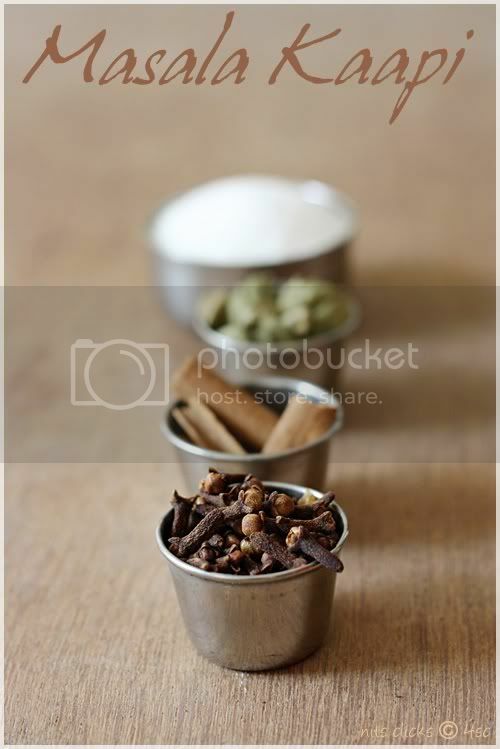 Refreshing masala kapi niths...Cool clicks too. very tasty and yummy coffee dear..
Nithya is always up with something new! Masala tea is very well known... But masala coffee??? Totally new! 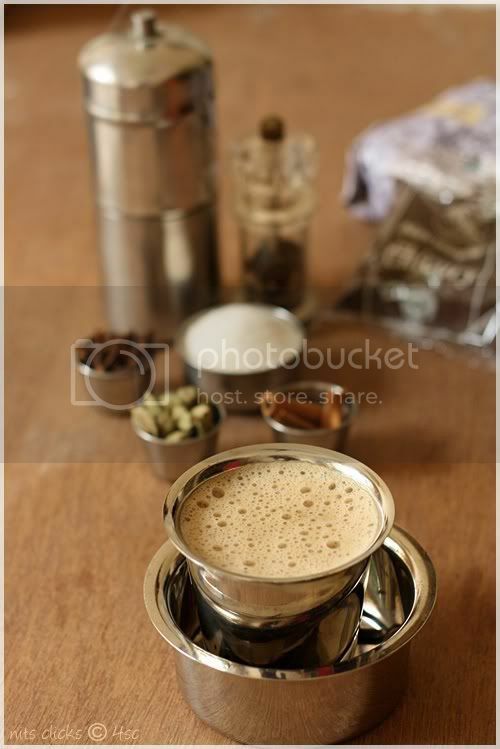 Lovely pic of the HOT HOT coffee in traditional Indian tumbler and davara! Nice one! I have to admit Nithya, I never dared to take photographs in Steel cutlery. That's because I thought they don't give out the best pics. But boy! I am totally wrong. 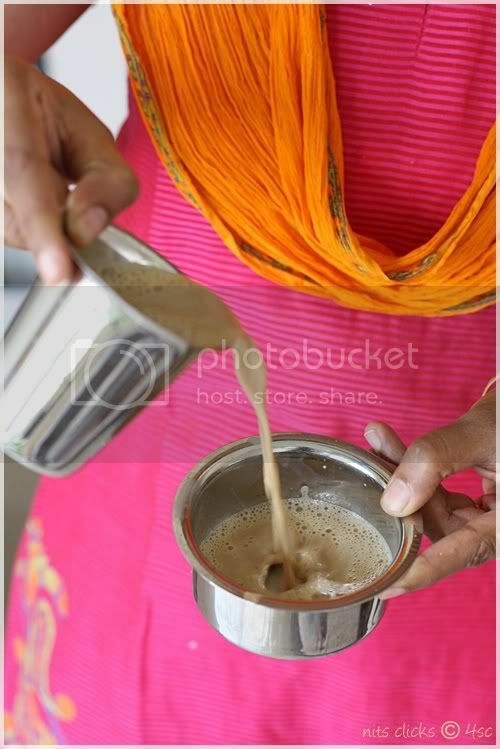 That kaapi looks absolutely stunning and so damn traditional. The picture is so well shot that the steel cutlery actually makes it outstanding. Bravo! Love the first click with the steam coming out. You rock Nits. mmm.... lovely. Really kaapi is an excellent energy booster. I didn't know that we can masala kaapi too. 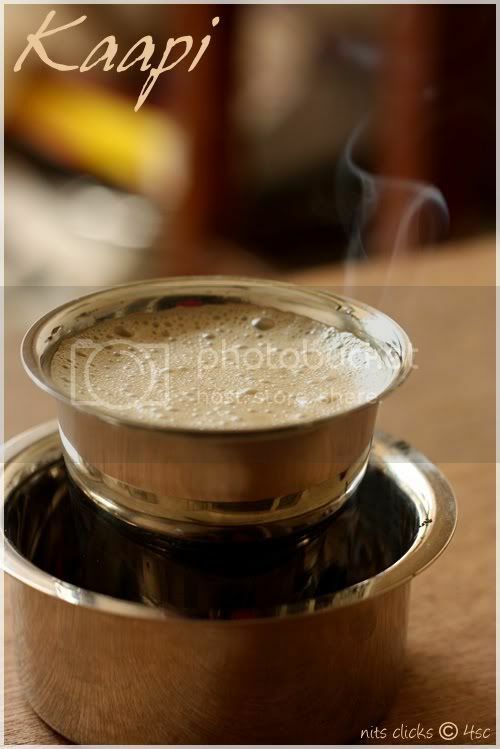 Wat an aromatic kaapi, prefect for my sore throat. I dont drink coffee.... But love the smell.. This one looks so fragrant.. Variety in coffee is new to me. I love coffee! will try this!!! Slurp..so delicious and the clicks are awesome. Will try it out. Stunning pics. Wow masala coffee, never heard of this one..but sounds just like masala chai...hey have to try this right now..
wow very new concept yaar. But will it not take the original taste! 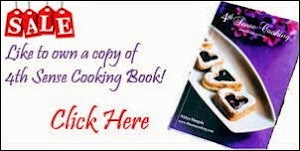 Anyhow sooper click!